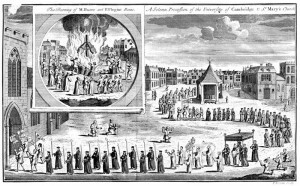 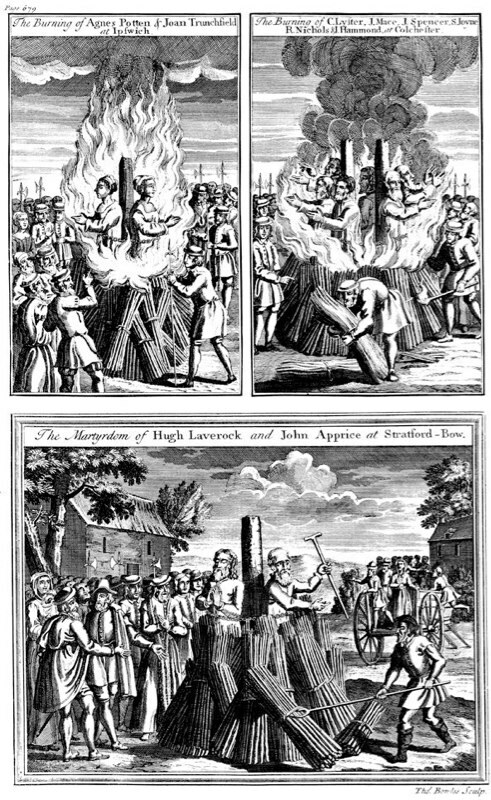 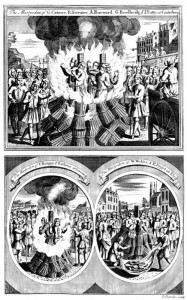 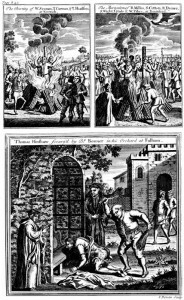 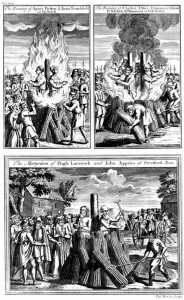 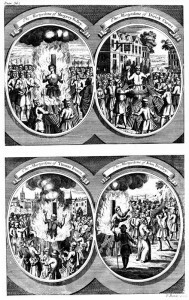 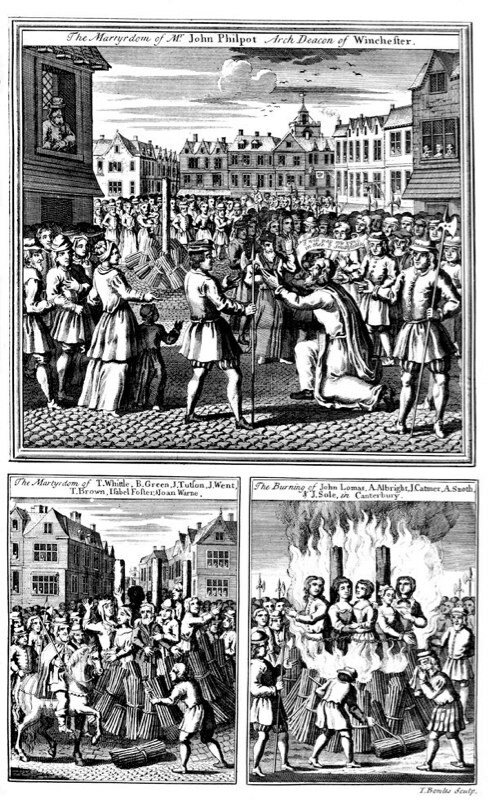 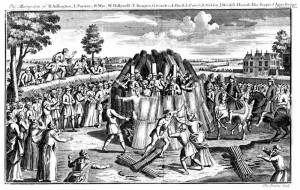 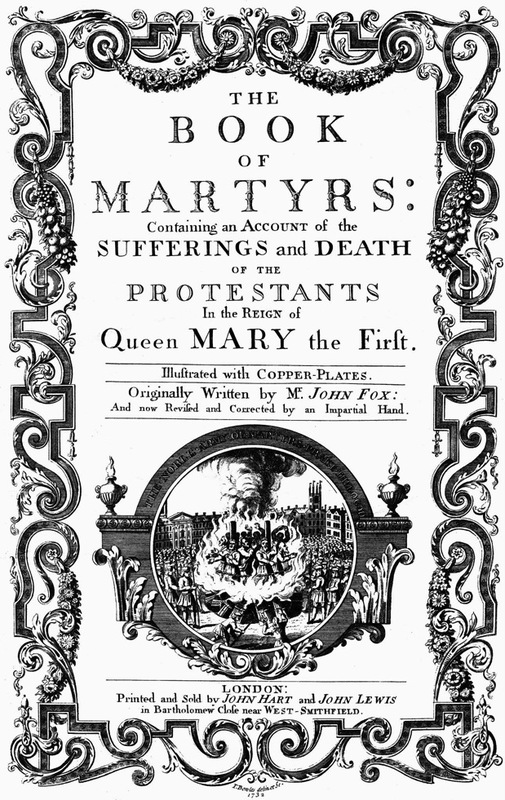 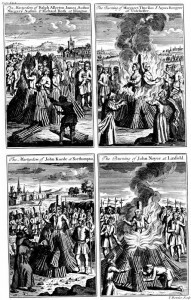 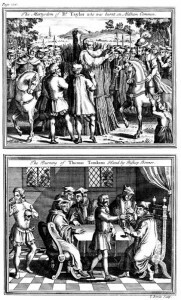 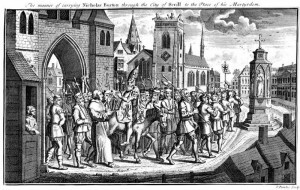 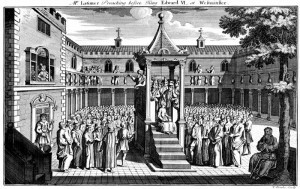 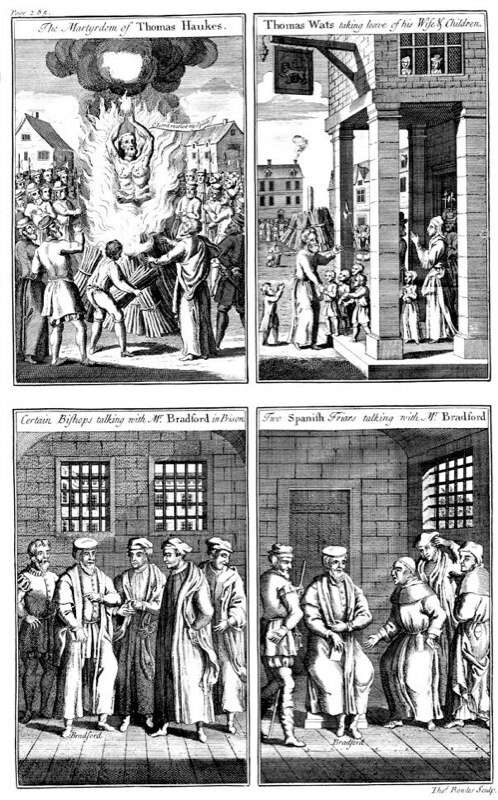 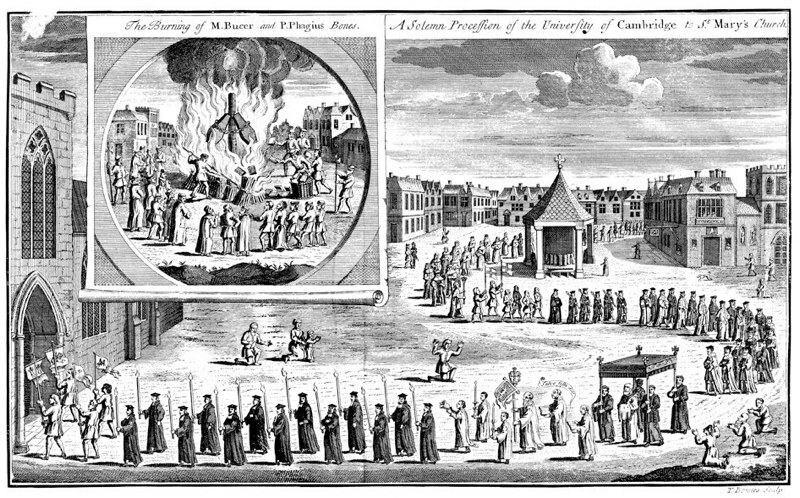 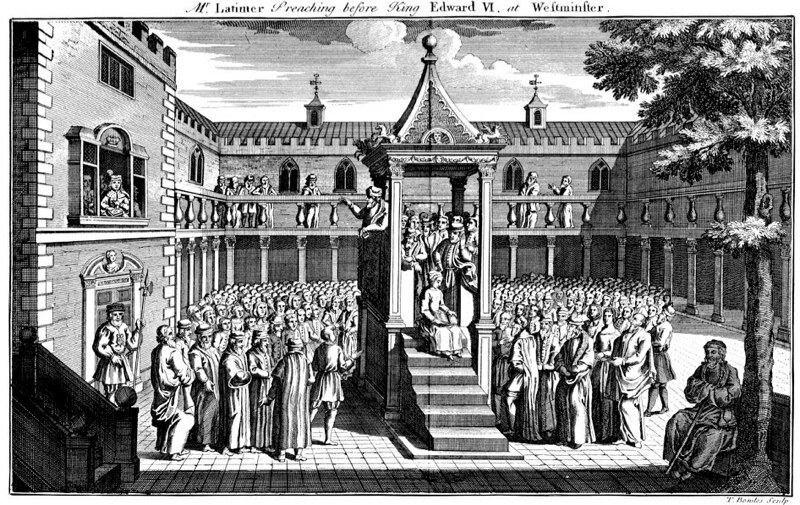 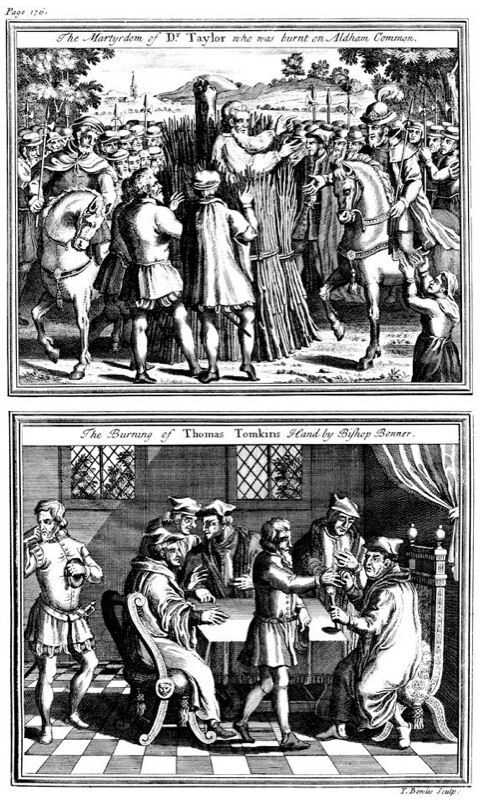 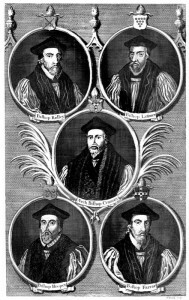 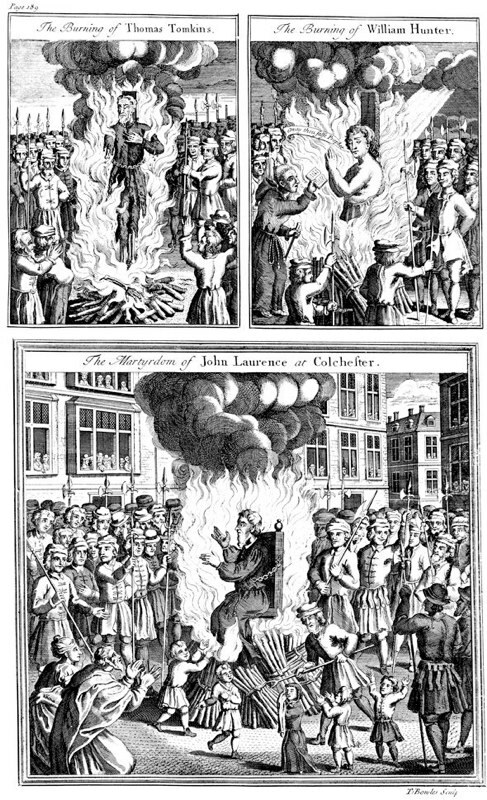 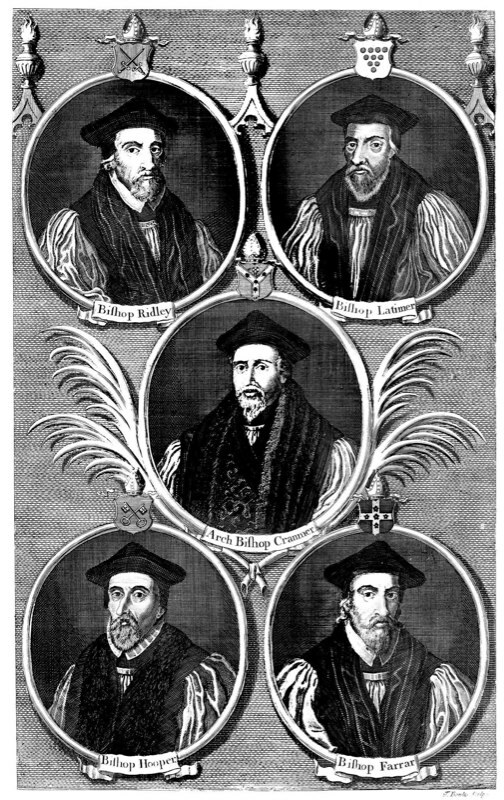 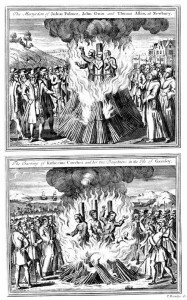 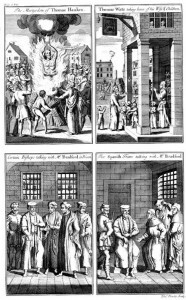 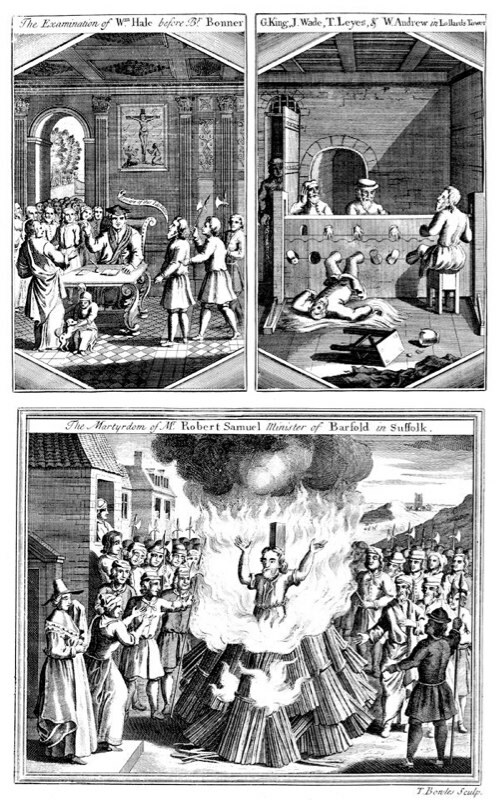 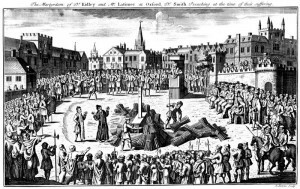 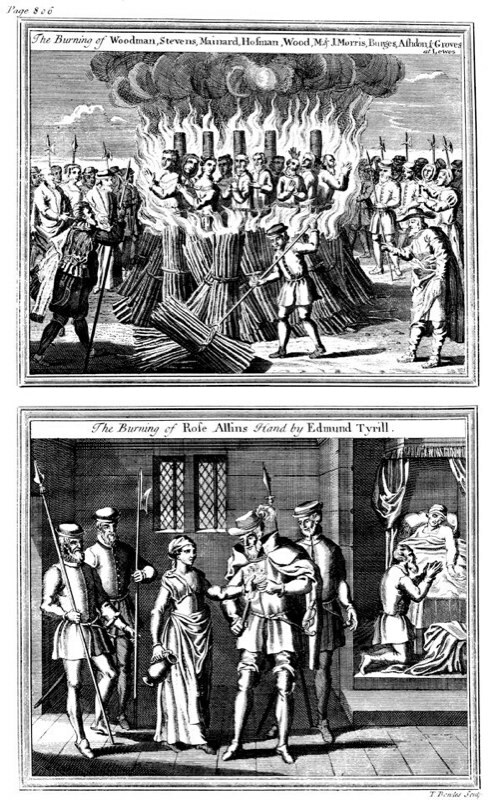 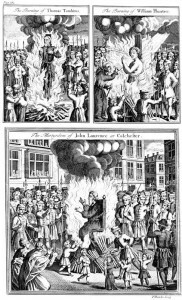 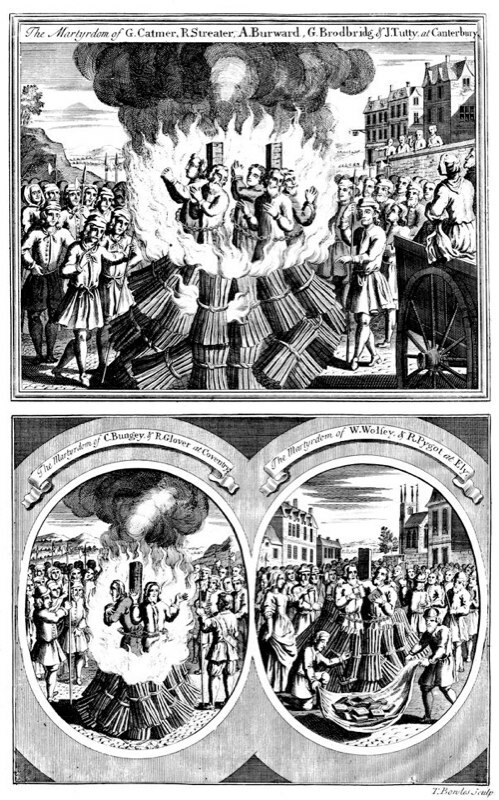 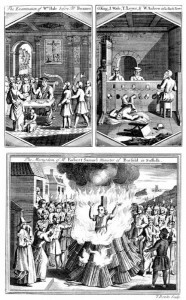 We have scanned all of the original engravings from our 1732 Fox’s Book of Martyrs. 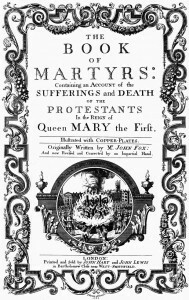 Our original book is about 3 inches thick, 10 inches wide, and 15 inches tall. 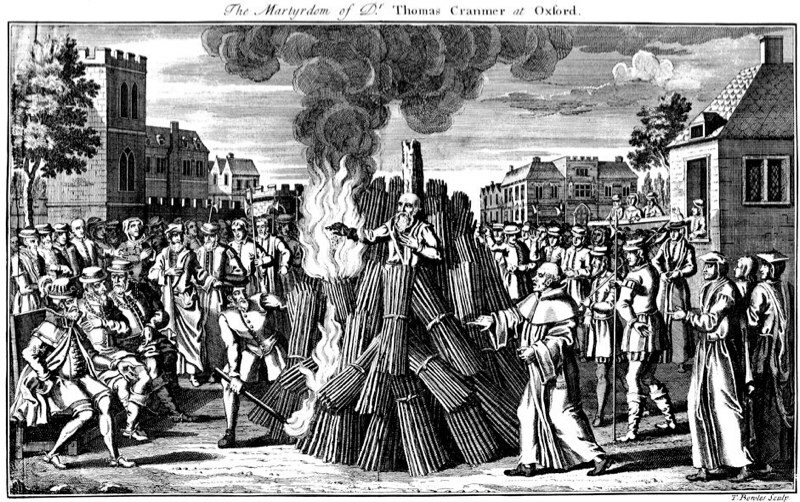 It must weigh at least 10 pounds. 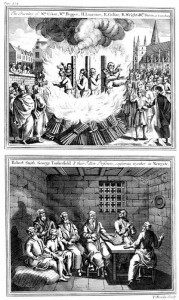 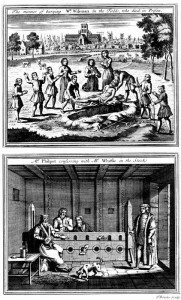 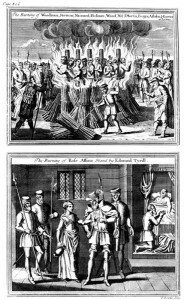 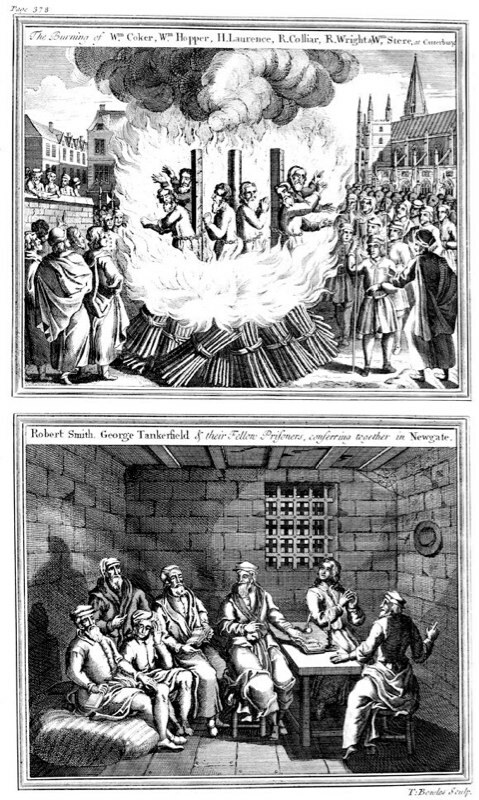 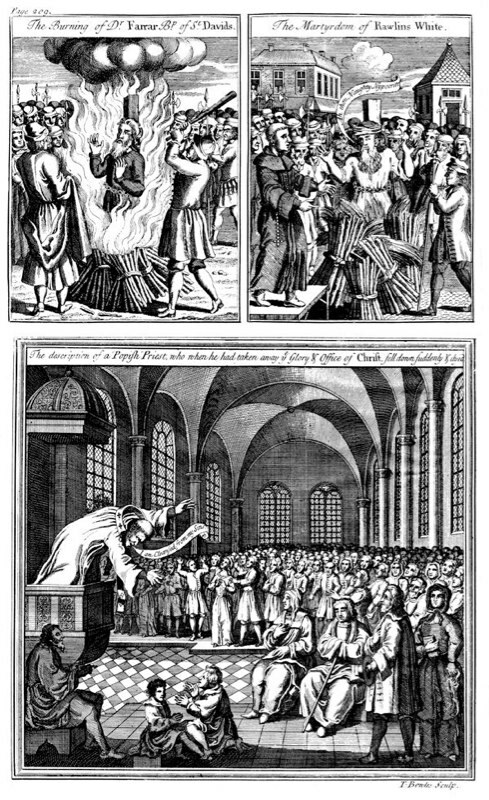 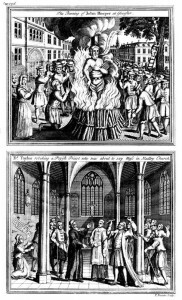 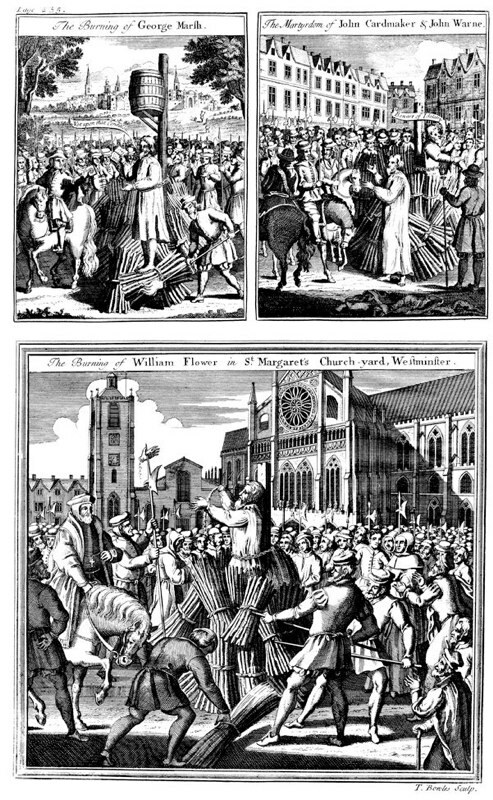 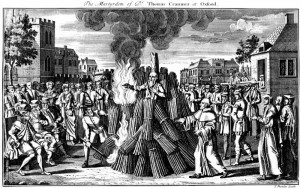 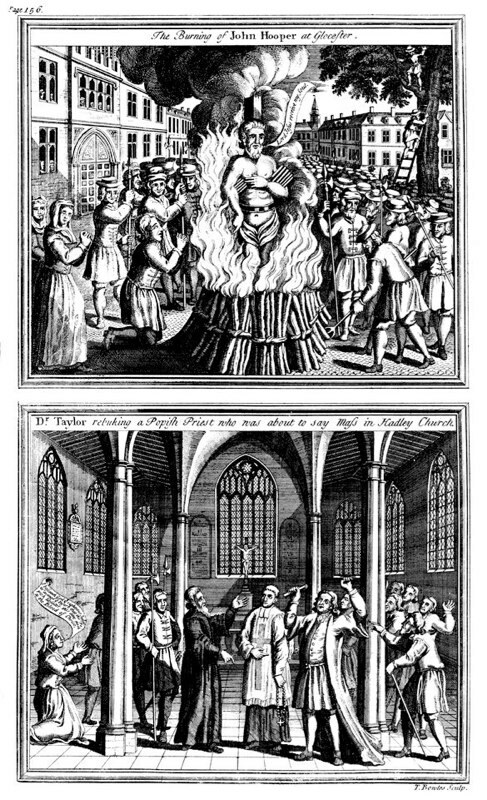 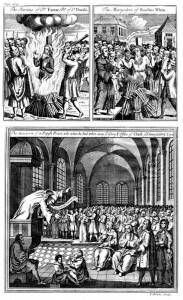 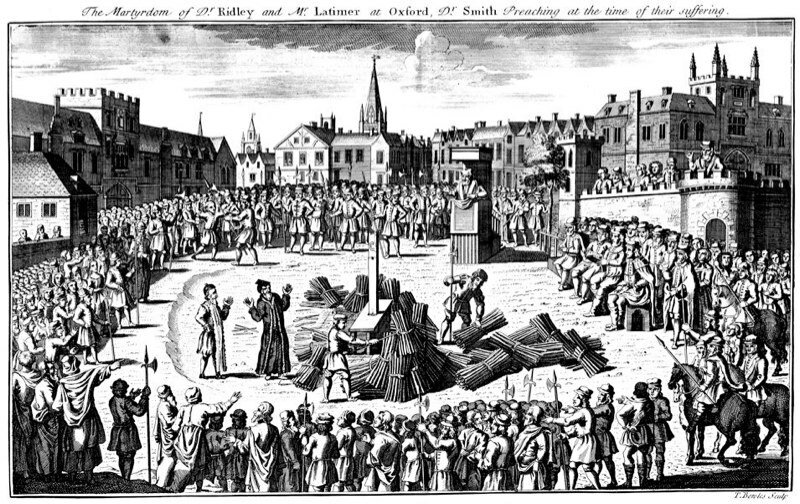 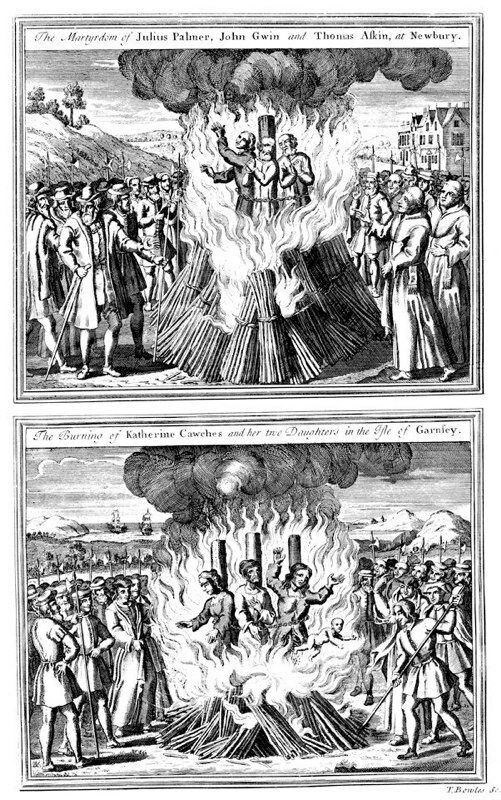 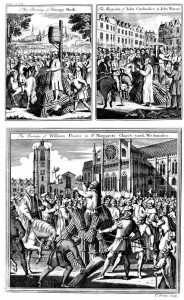 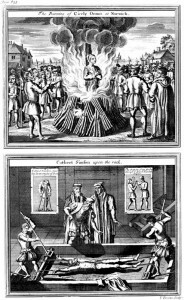 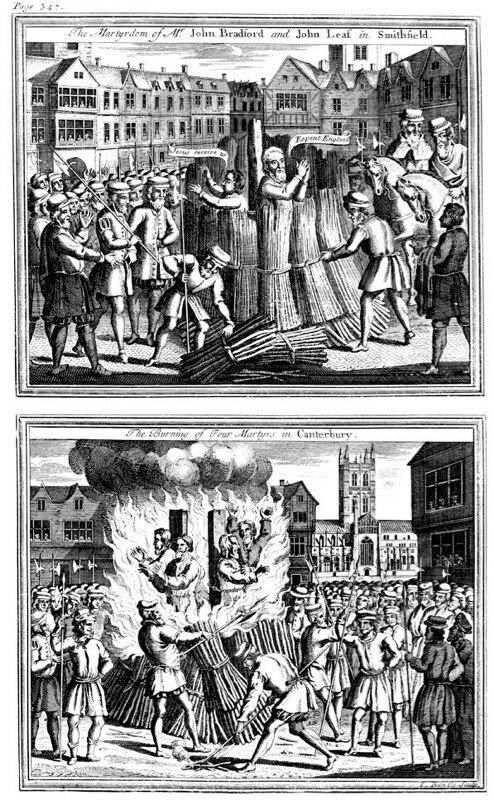 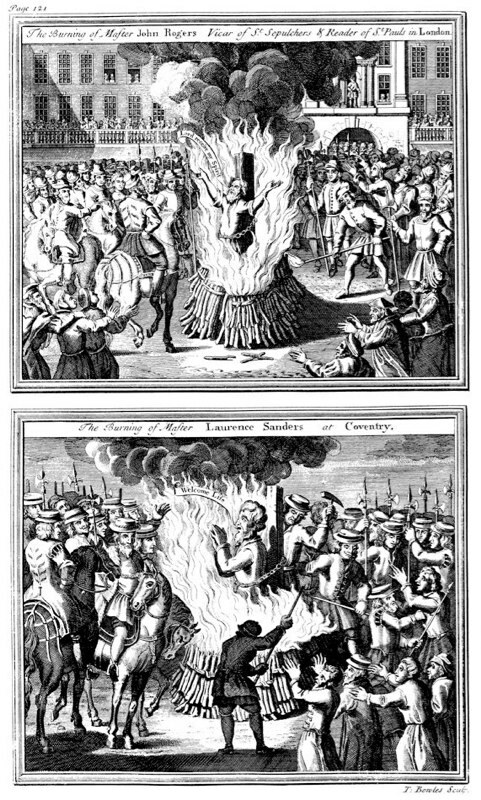 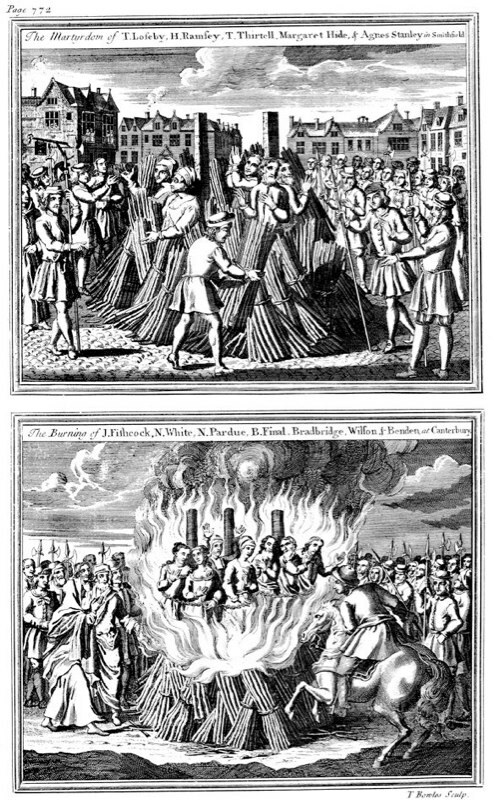 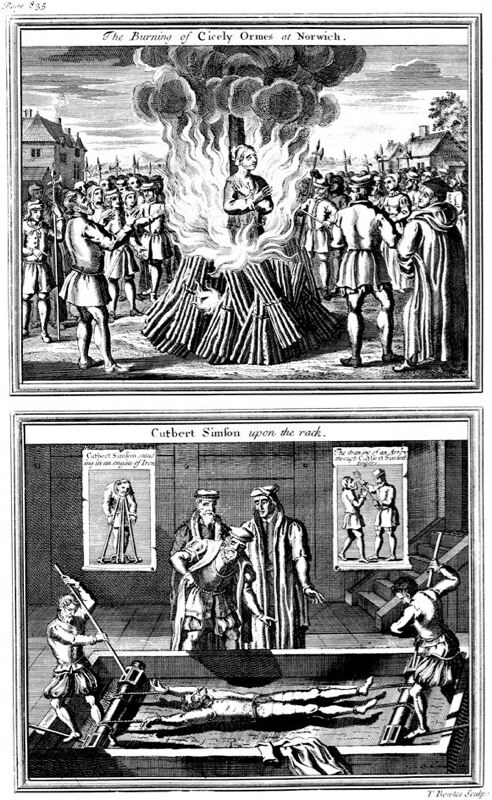 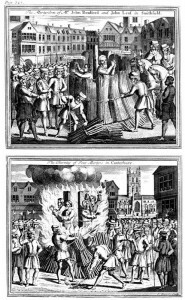 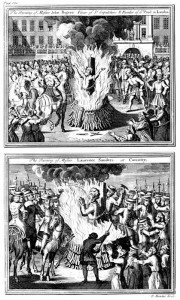 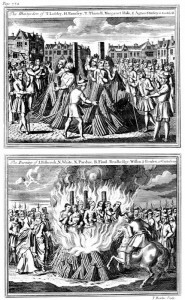 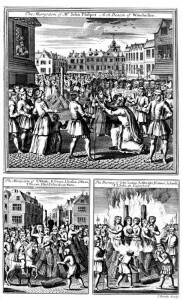 It is full of illustrations of people being tortured to death (mostly burned at the stake). 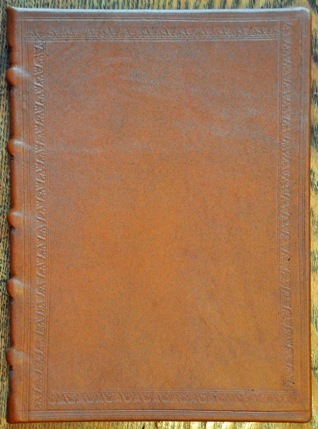 This book contains these thirty one plates that we have scanned and cleaned up. 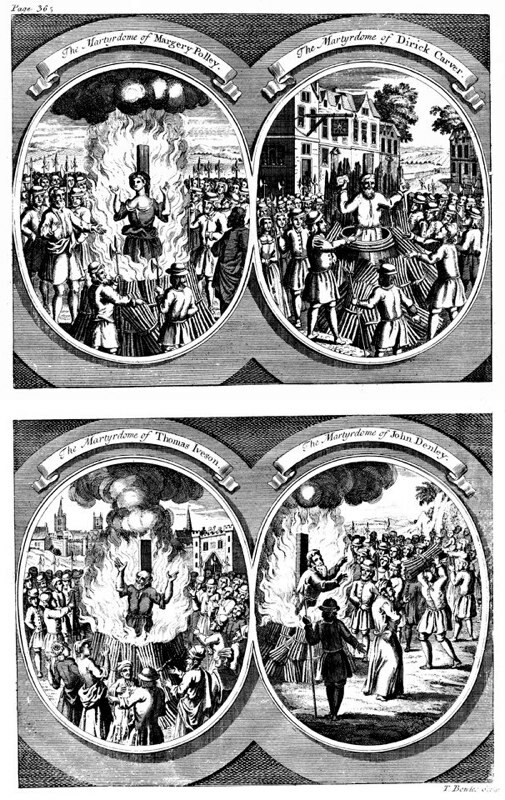 These engravings are very sharp because they were scanned from a very large original image, cleaned up, and then shrank down to the smaller book that we are not producing (6 3/4 X 9 ¼) .